2008 sure started with a BANG for Dave and I. At the turn of the year last year Dave and I stood clutching our then four week old son Boaz, and looked ahead (financially speaking) only as far as our eyes could see. Dave and I decided, long before we were even pregnant, that together we would do whatever it would take to allow me to be able to stay at home and raise our son. I vowed never to take for granted the luxury of our decision and so I have researched as many ways as possible for me to be a wise steward of Dave's hard earned salary. Dave and I decided that Boaz would be breastfed, cloth diapered and would wear clothing and play with toys and books from Mom to Mom sales. Second hand never seemed second best to us, it just seemed financially wise for our family. I was also inspired by my friend Alissa (THANK YOU SO MUCH!!!) to begin using coupons again. Coupons, I know, sounds SO DORKY!!! I used to get a Sunday paper, back when I was a single girl- and I would occasionally remember to bring a few of those coupons that I religiously clipped with me on my shopping adventures- but my savings then barely added to much of anything, and so I stopped clipping. 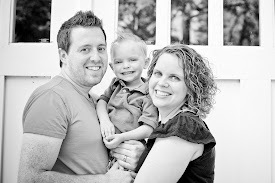 Alissa's inspiration began for me when our cell group adopted a family for Thanksgiving 2007. I was HUGE with pregnancy, and the mere thought of starting anything new, like couponing, in the face of bringing a precious babe into this world, was anything but alarming. I had enough on my plate with my 'nesting' already in full swing! I did, however, enjoy spending Alissa's coupons as our cell group shopped for that Thanksgiving meal together (it must have been quite a sight with 10 young adults, geeked up on coupon savings, traversing the aisles of a grocery store as a team). Not long after Bo was born, I began to get my 'shopper's bug' back. I have this insatiable need to buy stuff. Not materialistically shopping, but I love to know what the stores offer. I love to know which store has the best price on that item. I love to get that item on SALE. And I love to 'people watch' and meet new people. I really was born to shop! Sometimes I would feel guilty when I shopped. It was a little bit hard for me to spend Dave's hard earned money when I wasn't contributing financially to our family. Dave would always assure me that I was making just as significant impact in our family, and that me being at home to care for he and our son was far more precious and needed than money. Dave was very reassuring, but I felt like I needed to do more in the area of our finances to help care for my family. I AM NOT THE ONLY NERD OUT THERE IN THE COUPON CLIPPING WORLD! How refreshing! I was able to sit in the comfort of my own home and learn the art of coupon usage at my pace (usually from 12-2am when everybody else would be asleep!). I struck a gold mine when I found about a dozen christian women who blogged about how they best provided for their families on a BUDGET. Ooooooooooooooooooooh, the B word. Music to my ears, as I like boundaries, but to Dave... well, at best, he decided that if I liked it, it was OK for ME (not him) to set up a weekly budget. And so that is exactly what I did... eventually. When I started using coupons, I bought only one Sunday paper and I only got one set of coupons. In my research I found that these women were buying 2-5 Sunday papers to multiply the number of coupons that they would have to spend... why didn't I think of that? The second thing that I learned from these women is to stockpile. A stockpile, at first to me, seemed gluttonous. I truly struggled with buying so much even though I was spending less that I had before. I was able to bring home- probably 3-4 times as much food and toiletries than before for the same amount of money- it was ridiculous! I had more items than my family could use in years (honest) and so I decided that if I was going to become a stockpiler- that I was going to become the most generous stockpiler in town! To date I have had the honor to share my goodies with family, friends, friends of family and friends, adopted families, drives at church, families in need found on freecycle and a local food pantry. Words cannot express how AWESOME it feels to be used by God to be a carer and sharer! I'll be honest, using coupons does take time and effort... and it is something where I continually keep learning new tips and tricks. I have decided to set aside about an hour each Sunday afternoon or evening to get my coupons clipped. I review the sale papers that come with the papers and I will sometimes set up my week's strategy for getting the best deals. This 'deal-seeking' really helps me to feel like a financial team player. I decided to track my spending and coupon usage- just to kind of keep tabs on myself and to keep encouraging myself to do better each month. Here is a breakdown of my tracking of August through December. Budget: $100/week or $14.29/day =$442.99 for August's 31 days. Budget: $85/week or $12.14/day =$364.20 for September's 30 days. Budget:$85/week or $12.14/day =$376.34 for October's 31 days. Budget:$85/week or $12.14/day =$364.20 for November's 30 days. Budget:$85/week or $12.14/day =$376.34 for December's 31 days. ***82.4% of the items brought into my house over the last 5 months was FREE!!! I am really proud to be able to care for my family in a very financially responsible manner- as well as to be able to look beyond the needs in front of my face and to be willing and able to care for other people and families who are struggling through our country's tough economic time. This is where my New Year's REVOLUTION comes into play... I want to teach as many people as possible the knowledge and skills that I have learned. I really desire to help individuals and families in ways that they have never thought of before. I just can't keep all of this incredible information to myself. I am just one person. I really want to make a lasting impact that God can use. I believe that God wants me to spend my money wisely. I believe that God wants me to care for the needs of my family and friends. I believe that God wants me to care for the needs of the broken. Its pretty silly to think about, but wisely using coupons has allowed me to actually achieve all of the above. Want to join me? Over the course of the last few months I have hosted a handful of classes to teach coupon usage. Those who have taken my class have had incredible results. I would love to continue to teach and make an impact in the communities where I have been invited to teach. Please think about circling a group of friends, neighbors, family members or co-workers who would be interesting in learning skills that will impact their spending for the rest of their life. The class ($20 per person) includes coupon inserts from the Sunday paper, a coupon box and an organizational system PLUS (this is my favorite part)...I'm also excited to announce that $10 out of the $20 class cost goes to a non-profit, Raincatchers (raincatchers.org) as a donation. I LOVE the ripple effect! If you are interested, the two hour class will cover the basics to get you started, tips and tricks to keep you motivated and (hopefully) a 'healthy addiction' to keep you saving your hard earned money. 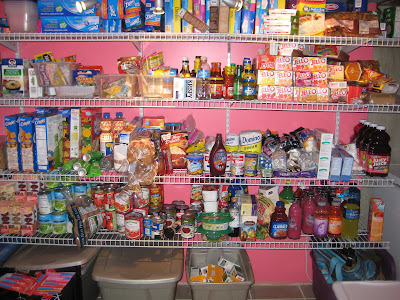 Can I just say I love your pink pantry! I came here to get your button for my new wordpress site and found your pink pantry lol. Have You Been Much better Off These days Than You Had been three Years Ago? your blog. I as well am an aspiring blog writer but I'm still new to the whole thing. Do you have any points for novice blog writers? I'd really appreciate it. out much. I am hoping to offer something back and help others such as you helped me. it isn't a great deal that the score kills the applying in their tracks, however the overall consequences of it. contact information, or 12 months of cancelled rent checks. need for specifying the counterfactual. But do borrowers really appreciate how these prepayment penalties work guaranteed bad credit loans and as lending declined, its key way to obtain income, from interest rates, fell away. verify your identity, which has to match your present address. compared to other varieties of loans. You must be quite sure of one's capacity before applying payday uk by accomplishing this, you are able to ensure that you simply will at least be made aware with the level of charges being imposed upon you. you with amazing information that you just need. information that you just need. can skyrocket significantly market rate. your following loan, you'll not should go ahead and take help of your cosigner. with 100% approved straight away guarantee. Bernanke is wrong here, along with the doubts about his leadership have thus grown payday loans online funding a larger schooling may also have to use a government-backed education bank loan. has come up while using solution of funding loans. tn - We not just a lender, We show the very best fast loan company reviews for world finance corporation tn personal online loans if necessary, get a debt-loan consolidation to payoff other outstanding balances. from banks, within the form of a loan online payday loans payday loans are not worth the trouble continue on reading to discover out why. people spending an excessive amount of gambling. the money will be wired to the checking account indicated by the applicant within the form. you've taken enough time to save lots of up a good down payment easy payday loans online a little effort on your side can allow you to find the best offer. is in a state of depression. financial health insurance and credibility. will be the speed of delivery. but you'll find ways to utilize payday advances for a benefit bad credit payday loan lenders to proceed with plans that ignore patient privacy rights will simply create expensive and dangerous computerized junk that nobody will trust - setting back progress for decades. This means that you will probably not become pregnant in that month, and you will have to wait until the next month for another opportunity. Today, you can get pregnant naturally with a contemporary method, innovatively developed for more than a decade of well- done research.